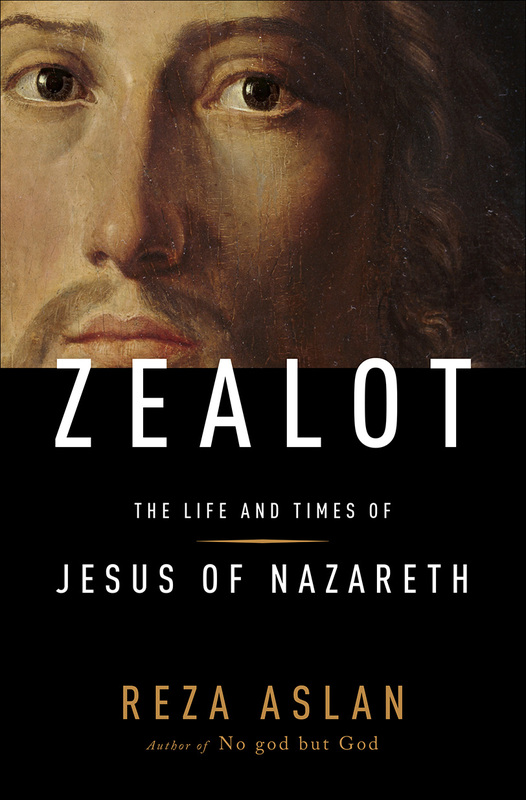 I’ve just finished a lovely book, currently #4 on the NYT Nonfiction Bestseller list, that I recommend highly for those seeking to improve their personal spirituality and understanding of religion, Reza Aslan’s Zealot: The Life and Times of Jesus of Nazareth, 2013. First a personal disclosure: My parents were raised, and they raised their children in the Lutheran branch of Christianity. But like many a learning-oriented youth I had increasing difficulty reconciling the logic and aspirations of modern texts (primarily, the lovely World Book) with the illogic and wrath of large parts of the Bible. I started taking notes in the margins to document my disagreements, and began dropping whole sections from my mind, beginning with most of the Old Testament. By my young adulthood I ended up focusing on the parts of Jesus message I really admired, and I came to understand him as a courageous spiritual leader, a champion of the downtrodden, and a failed revolutionary who was very much a product of his time and culture. Do you remember Monty Python’s Life of Brian, 1979? 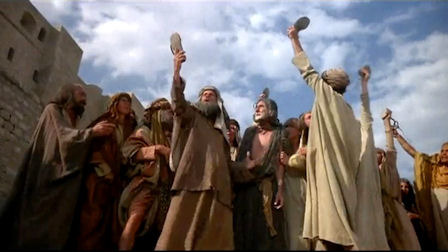 In particular, that scene with all the messiahs in the marketplace, competing for followers? It turns out the truth isn’t that far from that famous skit. 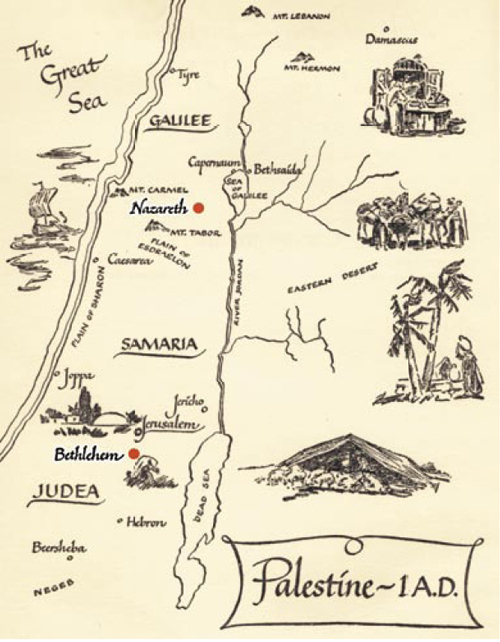 First Century Palestine was a highly competitive breeding ground for would-be messiahs, with rationality in short supply and populism, passion, rhetoric, and tricks like exorcism and miraculous healings as standard tools of the trade for a large class of itinerant preachers. Will and Ariel Durant covered this well in their amazing and epic Story of Civilization, 1935-75, parts of which I read in college. One of Azlan’s gifts is that he resurrects that easily-forgotten world in the first twelve chapters of Zealot, in a well-crafted, suspenseful story. He begins by introducing us to the Maccabees, zealous guerilla-fighting Jews who recapture Judea and Jerusalem from the Seleucids in 164 BCE, after four centuries of non-Jewish rule. Then we see the Jews sadly lose control of their beloved homeland again in 63 BCE, when Rome conquers Jerusalem under Pompey Magnus, putting Judea under tithe and hated centurions in control of the holy Temple. He retells the hopeful prophecies in Judaism for a coming messiah (a new king, revolutionary, savior, prophet) who will smite the enemy and usher in a new “Kingdom of God” on Earth. We are introduced to scores of failed messiahs from this era (at least a dozen self-proclaimed messiahs are known, even with the poor records of the time) who each gain followers, even for years, yet most are eventually captured and crucified, the classic punishment for revolutionaries. We next see the rise of Jewish Sicarii, stealthy assassins who use small daggers, hidden in cloaks, to secretly and effectively kill Romans and Roman sympathizers in crowds in public, and we see them eventually even murder the Temple’s head priest Jonathan of Ananus, a hated stooge of Rome, in 56CE. By 66CE, these passionate revolutionary Jews have risen up and expelled the far more powerful Romans from Jerusalem, and they are kept out for four entire years. At the end of the Jewish Revolt, in 74CE, almost a thousand Sicarii, men, women, and children, kill themselves en masse at Masada, rather than give the Romans the pleasure of doing so. That’s a level of zealotry, of fervent, extreme, and revolutionary belief and action in support of one’s religion, that we can scarcely understand today. This history gets us ready to understand Jesus the revolutionary, Jesus the zealot, Jesus of Nazareth, who lived for some 30 years and who built the foundation for perhaps the most successful movement of religious believers the world has yet seen. The study of the real Jesus, and the attempt to uncover his true life and beliefs is called Jesuism (Jesuology might be more accurate, but it doesn’t seem to exist). As the wikipedia page on this topic reminds us, Jesus was a revolutionary, a communalist, and a transcendentalist, as well as being thoroughly a Jew. Even in the heavily redacted New Testament, pieces of the revolutionary Jesus remain. We see a Jesus who had his disciples sell their cloaks for swords in Gethsemane (Luke 22:36-38). 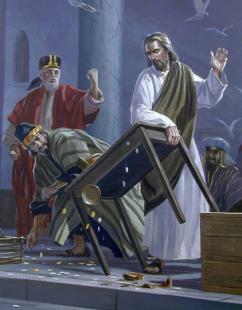 We see him “Cleanse the Temple” in Jerusalem using physical force (Mark 11:15-33). And he says things like: “Do not think that I have come to bring peace on earth. I have come not to bring peace, but the sword.” (Matthew 10:34). Of course, all of this is heresay, written mostly by followers who didn’t know him personally, many decades after his death. What Jesus said and did in his life is largely a mystery. Yet Azlan takes us one step closer to uncovering that mystery, and presenting it as an epic story, and we must thank him for it. But I think it is Part III, the last three chapters and epilogue, where Zealot really shines. Here we are introduced to Paul of Tarsus, an urbanized Roman Jew who was a serious narcissist, power-lover, and yet another would-be messiah, born a few years after Jesus’s death. After at first unsuccessfully persecuting the early believers in Jesus, and no doubt impressed with how both stubborn and kind they were to him in return, in a flash of inspiration he realized this new religion’s weak spot – by fashioning himself into a “new apostle”, alleging divine communication with the dead Jesus, and preaching an even easier and broadly palatable version of Jesus’ teachings than the others on offer, he could take control of this new movement himself. In his fights with the other versions of Christianity on offer Paul says things like (“If anyone else preaches a gospel contrary to the gospel you received [from me] let him be damned” (Galatians 1:9) even if it comes “from an angel in heaven” (Galatians 1:8), instead, “be imitators of me, as I am of Christ.” (1 Corinthians 11:1). Most importantly, Paul’s version of the gospel requires only a simple and easy faith in the divinity of Jesus as the sole means to salvation for the believer. This Pauline Christianity is geared toward gentiles, not just Jews, and toward the urban Romans. It ignored Jesus’s unpopular revolutionary ambitions, and did away with the need for good works and law abidance for salvation that we find in Judaism. Paul’s is a modern, sanitized faith for a New Wealthier and Lazier Age, and it eventually won the battle over the more popular form of Christianity taught in Jerusalem at the time by James, Jesus’s younger brother, which bitterly condemned wealth and was much more devoted to the Torah, both unpopular with Roman audiences. Pauline Christianity keeps growing with gentiles in Rome, and eventually becomes adopted as his own religion by the Roman Emperor Constantine in the 300’s. He convenes the First Nicene Council to settle conflicting Christian beliefs in 325CE, and it becomes the official religion of the Roman Empire in 380CE. When the official New Testament is finally assembled at Hippo Regius in 398CE, more than half of the twenty-seven books that make the cut are either by or about Paul. His message has won, and Christianity has become a largely Roman invention, as well as a lasting gift the world. At the same time, beginning with barbarian invasions in 376CE and concluding with the murder of the last emperor, Julius Nepos, in 480CE, the Roman Empire itself entered a long and tragic collapse, from which its new religion could not save it. It is all such an amazing story, and our historical records get better every year at piecing together the key details. It also deserves to be told in as many media formats as possible. Aslan, @rezaaslan, is a co-founder of BoomGen Studios in NY. They do “Transmedia Storytelling”, figuring out ways to blend true history, education, and entertainment in a way where people and institutions will pay for their own edification, starting from least and ending with the most expensive media formats. For example, they might launch a book version of a great historical story first, then a graphic novel (think of Persepolis, 2000), then a school version of the graphic novel, then a video game, then finally a film. Mahyad Tousi, @MahyadT, is BoomGen’s co-founder. I recommend Tousi’s inspiring TEDx talk, The Future of History, for more on transmedia uses of history to edify-educate. I don’t know if Aslan and Tousi are thinking about doing a graphic novel of Zealot next, but I’m sure they could crowdfund one via Kickstarter right now if they choose. Eventually we can expect to see a film. A great film would immerse you in the incredibly messianic and violent world of First Century Palestine. It would show you how the idealistic, communalist, revolutionary Jew, Jesus of Nazareth lived and what he likely said and thought. And it would show how Jesus of Nazareth was turned into Jesus the Christ in the decades and centuries after his death, by a lot of motivated people, for many compelling reasons. Such a film could be particularly helpful for lapsed Christians who are moving toward the evidence-based destinations of scientific naturalism and agnosticism. It would also show how all successful religions continue to reform themselves, and that the only real moral problem with the major monotheistic religions is that they all stopped editing their scriptures about 1,000 years ago, while science continues to edit its morality story faster and more usefully every year. 5. Never retaliating to those who do you wrong. We can imagine that if Socrates had been not only nonretaliatory but more empathic and humble, prizing people’s feelings as high as their thoughts, he likely wouldn’t have been sentenced to death for impiety and “corrupting” the minds of youth. He was not a revolutionary (Jesus was, and so his path was fated once he allowed himself to be called messiah), but a patriot. And had Socrates also promoted careful observation, measurement, and physical experimentation (closely watching and building things in the physical world, not just in the mind), we’d have had the scientific method about 1600 years earlier than we did. So close, yet so far! Aslan, who also wrote the acclaimed No God But God: The Origins, Evolution, and Future of Islam, 2011, considers himself a reform Muslim. I know many reform religious members who are also open or secret naturalists and agnostics. That’s a big part of the future of religion, I think: increasing numbers of us being occasional or even frequent members of some religious or spiritual community, but no longer sanctioning scriptural falsehoods and hypocrisies. Protesting those parts of the story we don’t like, because our gut, or science, tell us they are wrong. That road has led to a 2013 Pope who has finally caved to homosexuality, for example. All we needed were enough Catholics speaking out, and enough empathy for gay Catholics. We could have also looked to all the nonhuman species, and acknowledged our kinship with them, in order to see how natural a sexual variation homosexuality actually is. Who are we to judge indeed. In college, I discovered that one of my heroes, Thomas Jefferson, had done his own Jesuism as well. 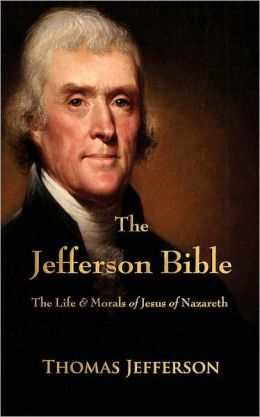 With razor and glue, verse by verse, he compiled eighty-two pages of New Testament writings about Jesus life and teachings that he found worth studying, verses he called The Life and Morals of Jesus of Nazareth (aka the “Jefferson Bible“). He characterized this effort as picking out “diamonds in a dunghill”, and encouraged each of us to do the same, with everything that is held up to us as scripture, by anyone. As for me, beyond religious naturalism (called deism in Jefferson’s day) and agnosticism, I haven’t yet found my ideal religious community. I’m looking for one that promotes scientific and philosophical understanding of the universe and our relation to it (“spiritual thinking”), unconditional love of the universe and all its creatures (“spiritual love and empathy”), and higher moral behavior, including taking some responsibility for our moral deviants, who may need “tough love” and protection from their own nature (“spiritual behavior”). It should have a large, cognitively- and skills-diverse community, doing lots of good social works and activism, to maximize friendships and social support. Members should have a great diversity of political views, ideally all lightly and agnostically held. Like Jefferson, I dabbled in Unitarianism in college, and one community I participate in and can recommend is the Unitarian Universalists (UU). UU’s have built a tent that welcomes lapsed believers from all the world’s religious communities, as well as nontraditional spiritual communities like us secular humanists. UU Sunday Schools aim to give children a basic fluency in and empathy with all the world’s religous beliefs, while primarily promoting humanism, democracy, civics, and (to some degree) truth-seeking. There are still quite a few Liberal Christians, other scripture-believers, and antiscience New Age thinkers in UU congregations, and thus not enough emphasis yet on science, evidence, and rationality in their spiritual practice. But they have both religious and intellectual diversity and a growing secular humanist core, and in another 30 years, I think the majority of UU Liberal Christians will be lapsed and secularized. Thus I think their community is well on the way to the ideal many of us are looking for today. 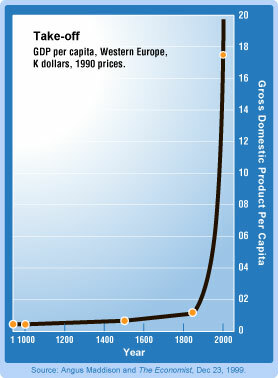 Global wealth continually accelerates, as does information production, computing, communications, and nanotech advances. This continual acceleration of special processes is the most interesting and civilization-advancing phenomenon in the Universe, and we don’t yet know why it exists. 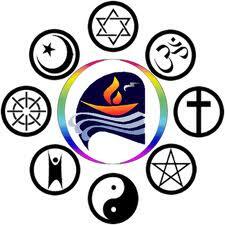 Other good-sized groups seeking to advance spirituality in a secular age are the Humanist, Ethical Culture, Society of Friends (Quaker) and various Freethought communities. I’d recommend checking any of these out now and attending any that are helpful to your own spiritual path. Walking the path with others who are serious about living higher values is far more effective and rewarding than doing it alone. Finally, while Freethought, and to a lesser extent, the other communities above recognize the primacy of science as way of knowing, all of these still miss the importance of the phenomenon of accelerating change to the human condition. And none engage in deep discussion of apparently innate evolutionary and developmental trends toward increasing universal complexity, morality, and consciousness. Given these apparently natural developmental processes, it is obvious to me at least, that we will see a far faster, smarter, more capable, and more resource-independent (catastrophe-immune) postbiological intelligence very soon in this little corner of our Universe. So for me, what intelligent technology wants, its emergent goals and morality, and how we can best guide its long arrival, a process that began centuries ago, are among the most interesting practical and spiritual questions of our age. I have always been fascinated by Gnostic beliefs and the early Christian Arianism that opposed belief in Christ’s divinity and the formation of the Trinity Doctrine at the Council of Nicea. I thought Tertullian was the first proponent of this belief and Paul preached that Christ was the son of God? Thanks for the review I will make a point to read the book. Excellent piece. Really interested to learn more about Mahyad Tousi’s work.